At a time when I would have been rooting for my favourite Bigg Boss contestant and worrying about the withdrawal symptoms, I feel none of the remaining contestants really deserve to lift the winner's trophy. The problem with Bigg Boss 12 is, it hasn’t been able to create the same emotional connect with the audience as it has in the past. Phew! The twelfth season of ‘controversial’ TV reality show Bigg Boss is finally nearing its end and I cannot be happier. Before you start judging me and say ‘if I had such a problem with the show, I should just stop watching’, I must admit, Bigg Boss is one of my guilty pleasures. It always had a certain magnetism that I couldn’t stay away from. And, like many others, it is my appetite for the 60-minutes of sheer drama which pulled me to the TV set on September 16, 2018 at 9 pm when Salman Khan returned with the new season of Bigg Boss. While I expected the drama to continue for the upcoming 100 days, somewhere in between I lost track. It got difficult to comprehend what was happening inside the Bigg Boss house. Surviving the entire episode felt like torture. Now, in the second last week of the show, which is supposed to be the best time to get all the ‘masala’, I feel the show should end right away without the announcement of the winner. At a time when I would have been rooting for my favourite contestant and worrying about the withdrawal symptoms, I feel none of the remaining contestants really deserve to lift the winner’s trophy. Sreesanth and Surbhi Rana in Bigg Boss 12. The problem with Bigg Boss 12 is, it hasn’t been able to create the same emotional connect with the audience as it has in the past. The persistent emotion I had throughout this season was frustration. There was not a single moment during the entire show which evoked emotions as Manu-Manveer’s friendship, Shilpa Shinde-Vikas Gupta’s animosity or Karishma Tanna’s lost makeup did. Just like the tagline, this season continued to be ‘vichitra’ in ways more than one. Bigg Boss 12: Dipika Kakar failed in entertaining the audience. 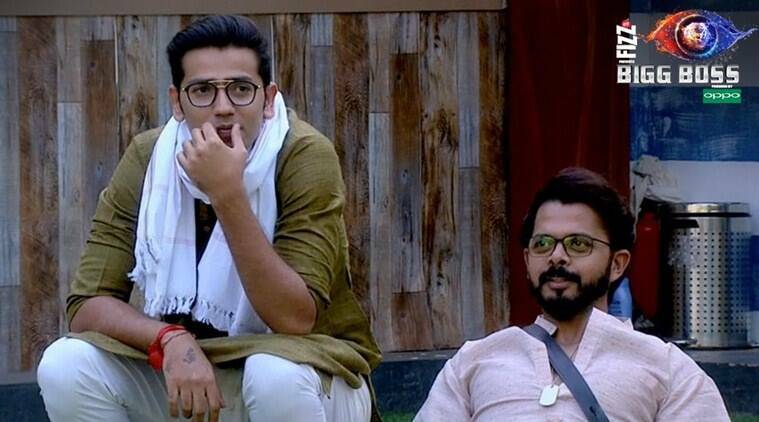 Romil Chaudhary, who was touted to be the ‘mastermind’ this season, lost hold on his own game. After manipulating the minds of ‘Happy Club’ (Romil, Surbhi, Deepak, Somi), the lawyer from Haryana failed to figure out how to play his game when his own people turned their back on him. As a result, the audience got to see a man who was oblivious to things happening in his surrounding, roaming around in the house desultorily. Karanvir Bohra was only a ‘dude’ lounging around in his beach apparel throughout his stay. Oh wait, but he was playing the ‘Adarsh beta’ (Ideal son) here, how would have he crossed the ‘Maryada’. So, KVB chose to be like any other sacrificing older sibling and served the opportunities of being in limelight to his fellow housemates. Romil Chaudhary’s masterstrokes also didn’t help him stay strong in the show. Deepak Thakur began his journey as the most entertaining contestant. His fascination with the jacuzzi on his first day left everyone amused and his simplicity made him a relatable character. But soon the passion of winning took over and his funny one-liners were replaced by his annoying tantrums and derogatory remarks. With the needless fights, he lost the charm he bore as a simpleton. The only entertaining factor about him were his songs but for that, I don’t think I would like to watch him snapping at people pointlessly. What’s the use of fights when you do not feel involved by picking sides. Surbhi Rana, the ex-Roadies contestant, left an impression similar to the one left by Dolly Bindra or Priyanka Jagga. Though her yelling and over the top drama did some good to the otherwise dead show, it definitely did a lot of harm to her own game. Her bizarre actions like putting a ’tilak’ on her forehead with blood and accusing Romil of ogling at her, made the fans of the show lose their cool and soon her hate clubs were formed on social media. After she got an earful from the host Salman Khan, she transformed into a docile person. And, it is here where she lost the chance of being a winner for me as her dual personality got exposed. With the needless fights, Deepak Thakur lost the charm he bore as a simpleton. Former cricketer Sreesanth was always a quitter and never a winner for me. Sree, in my opinion, is the last person I would like to see lifting the winner’s trophy. The sportsman lacked sportsman spirit. He abused and then denied on the face. He made demeaning statements and then cried foul when someone said a word about his career. What I failed to understand was why other contestants massaged his ego and always put up with his tantrums in the house. Definitely, I don’t want someone as arrogant as Sreesanth to win the show. 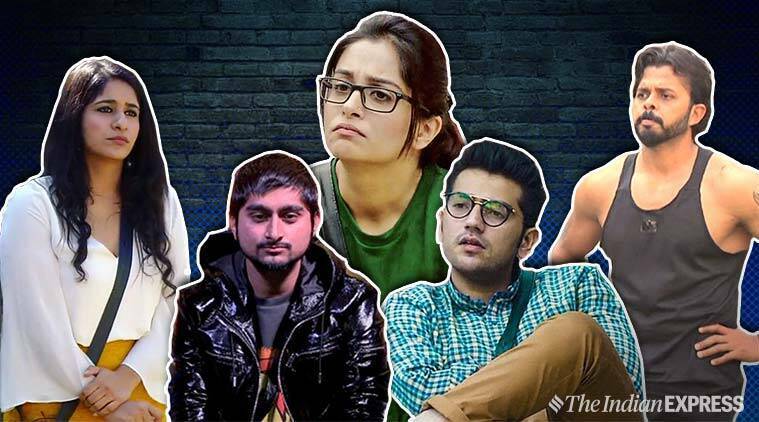 For me, Bigg Boss 12 has already been wrapped up. I hope the show doesn’t return or if it does, it doesn’t come with more unknown faces claiming themselves to be celebrities.